These are the individual encounters with wild reptiles and amphibians that were most enjoyable to me, for one reason or another. If possible, this list is even more subjective than my other Top 10 lists. 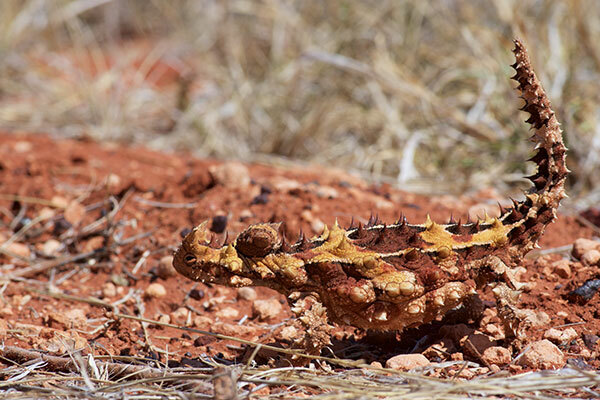 Thorny Devils had long been my most sought-after animal. I had searched for them unsuccesfully on three separate trips to Australia. For my fourth attempt, I chose the timing and itinerary of my trip to maximize my chances of finding this not uncommon but very elusive lizard. So when I found one on my first day in their range, it was the most exciting sighting of my life. After several days at sea, we set foot on the island of Rinca in the afternoon, and soon saw this beast strolling casually along. 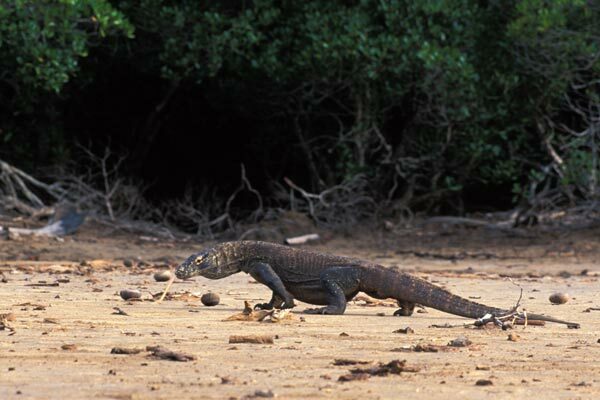 We had taken this trip specifically to see Komodo Dragons, and we fully expected that we would see them, but that didn't make seeing this first one any less special. 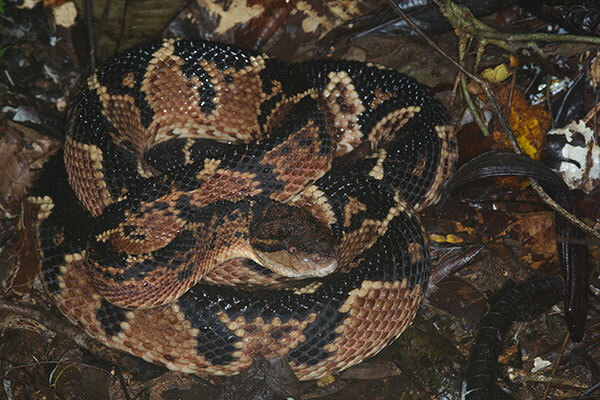 There's nothing quite like being awoken at 1AM to the sound of someone telling you that they've found a Bushmaster and they need help. Ah, the stuff dreams are made of. Fossil giant lemur skull. Cave. Large, coiled snake. Need I say more? A drizzly morning had produced very few herps, just a few small skinks. 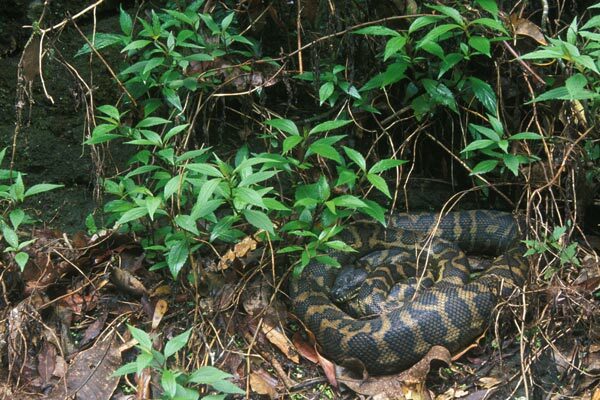 I was taking photos of a particularly tiny one when I turned around and saw this massive python, the largest wild snake I've yet seen, coiled a few feet away. 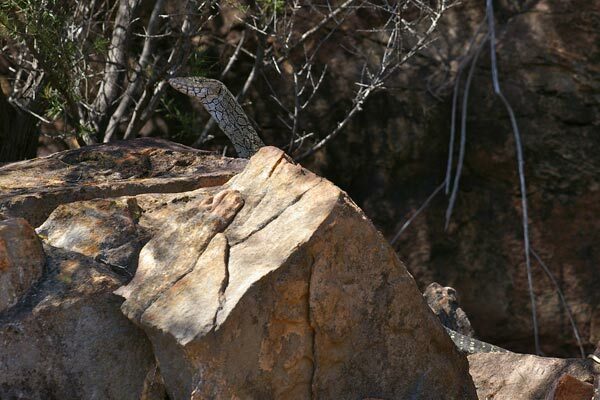 My observation of this, Australia's largest lizard, was about 20km west of the previous westernmost observation in this area. I wrote up this range extension for The Western Australian Naturalist and have gloated about it ever since. 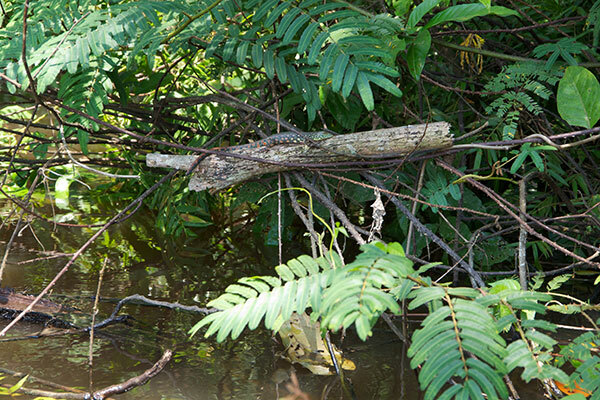 I spotted this beautiful young lizard from a kayak at a pretty good distance, after passing it but then thinking that something about that suspended dead branch looked unusual. The lizard was unreasonably cooperative as Mike Pingleton and I took turns taking photos, but it drew the line when we attempted to capture it for the benefit of the other lizard-lovers back at camp. No worries though, I snatched another, smaller, even more beautiful one out of the water a few moments later. 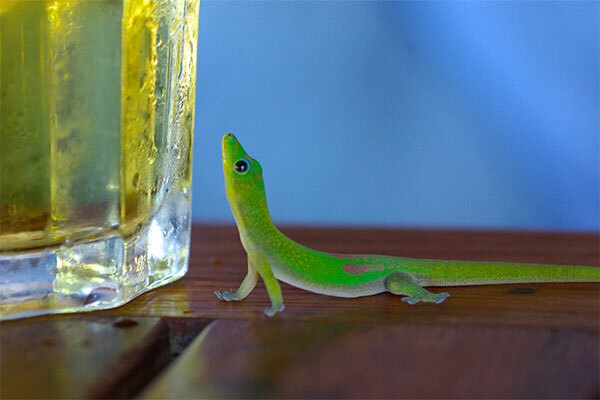 Meet "Beery", the Gold Dust Day Gecko that crawled across the floor of our room's patio, up the table leg, and over to the mug of Three Horses beer, up at which it stared longingly. 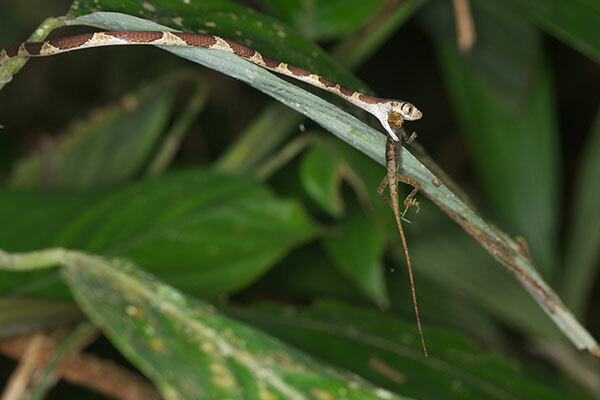 I saw more of these snakes than any other species on my first trip to Peru, and on my second trip also. They don't call 'em "Common" for nothing. 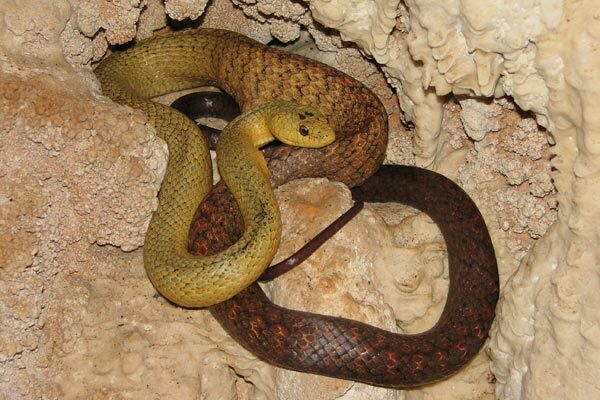 But with their incredibly long and thin bodies, and their amazing climbing abilities, they are still very interesting snakes. And watching this one eat its hapless Anolis lizard prey was particularly great. 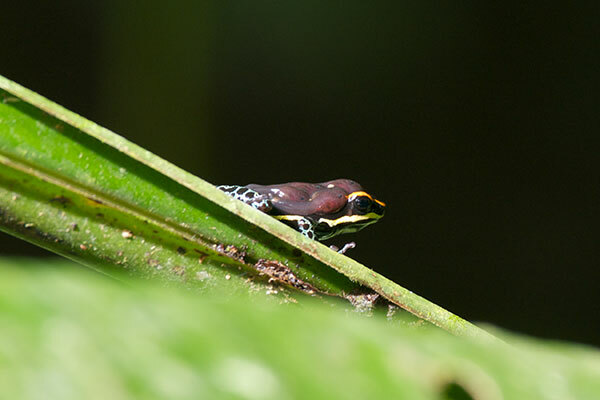 I was initially disappointed that I hadn't been able to capture this tiny colorful speck of frog in order to bring it back for others to admire and photograph. Later I looked at my photos and realized that it was carrying tadpoles on its back, and was glad that it had evaded me.